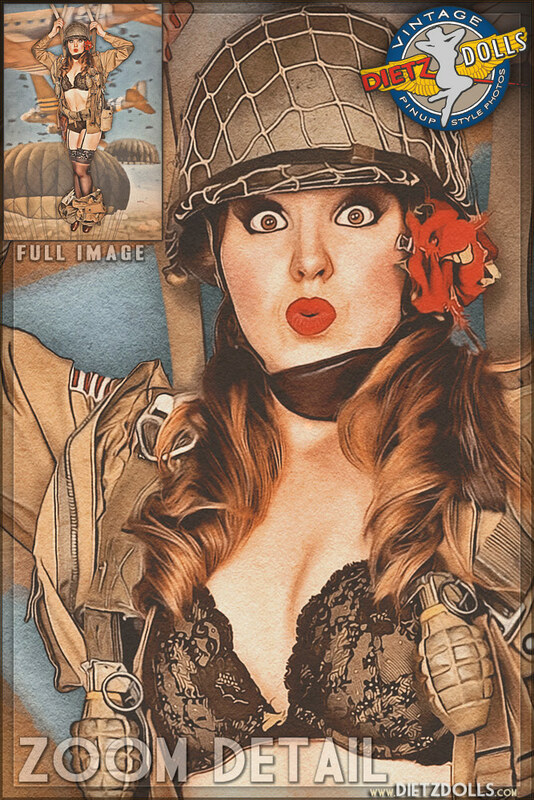 This Pinup Photo was added on Friday 21 February, 2014. "Caught with your Pants Down!" Here's a look at what NOT to do when jumping out of a plane in the Us Army Airborne Paratroopers, especially since you might get caught with your pants down... literally! Making sure your gear is securely fastened including your pants and jacket is something Kayla wishes she would have taken more time to check before the big jump. Kayla is wearing authentic WW2 Airborne gear (well, mostly wearing) including an authentic WW2 parachute. Behind her are two C-53/C-47 transport planes, famous in wartime for their dropping of paratroopers in Europe. Notify me of updates to Caught Pants Down!